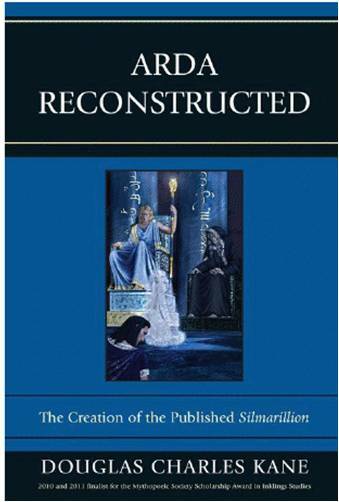 Our good friend Douglas Kane (better known to TORN as “Voronwe the Faithful”) is proud to announce that the paperback edition of his book “Arda Reconstructed: The Creation of the Published Silmarillion” has now been published. The paperback edition has revisions to the text and a slick new cover design (see picture). Better yet, it’s available for half the price of the original hardcover edition. The paperback edition is currently available on Amazon here. Continue to read more for some great reviews of this ‘must have’ for every Tolkien geek, collector and scholar.